Here at Bourbon Grill, we are here to bring you the food and customer service you want with friendly staff and accessible prices. Stop by and experience our fun ambiance. Housed in an old, historic storefront, we have created a modern comfort with our design and our menu. Try our customer favorites prepared fresh from former Steaksmith Chef Ricardo Rodriguez. Serving amazing steaks, a variety of fresh seafood, and modern comfort food. 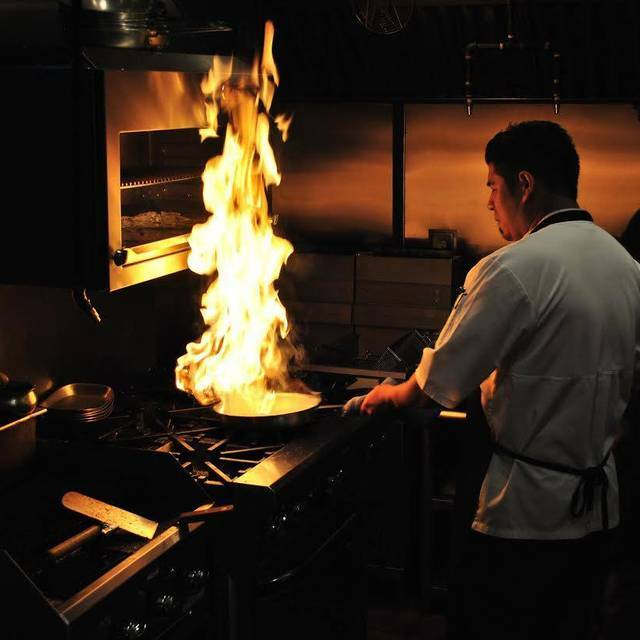 We focus on using the best ingredients and emphasize the importance of cooking with seasonal and local options. Check out our fully stocked bar, enjoy a cocktail, and relax with us tonight. Our waiter was great! Funny, nice, good all around. Food was ok. Filet came the way we order it. Other people at the table liked their food. Waitstaff was not around. Food was decent but not for the price. Bigger groups (we had 10) had a plastic fold out picnic table. Manager was helpful and did get mostly all of our drinks. We were there for 2 and a half hours due to slow to no service. Every one of my food items was wrong. I asked for no onion or tomato on my salad and a side od chipotle ranch. No ranch and onion and tomato on my salad. I asked for fried shrimp got grilled shrimp. Asked for baked potato didn't get it. Had to remind them about it. That was the best part of my meal. Very disappointed. Food was good the service was lacking. Took a while to get our food but was good when we got it. We asked the waitress twice for water (never got any). A gentleman noticed we needed bread and brought us some (one loaf for 5 people isn't enough). Waitress never came around to ask if everything was okay or if we wanted desert. We had to ask a gentleman if we could see one and he brought us a couple but the waitress never came to our table to ask if we wanted any! It was my daughter's 50th Birthday and I wish she could of had a better experience. I would recommend the Bourbon Grill for the food but make sure they ask for a male server. Food was good, although one persons food was not very warm, the rest were hot. Service excellent. Green Chile soup really good. The big negative was the strong smell of chlorine that lingered in the dining room; health club next door. Took a long time to get used to the strong odor so it needs to be addressed, although waiter didn’t smell it anymore after working there so long. So the smell is unlikely to ever be corrected. Food was good and well priced. Service was very good! The food was terrible. I had a petite filet and lobster tail. The lobster tail was dry and tasteless. My glass was dirty and was readily exchanged. Service was good and pleasant, but I do not plan to return nor will I recommend it. I took a friend here for dinner on his birthday, December 19th. I had done the same thing last year. Food was very good, even though the spinach appetizer arrived barely warm. I have to say that I was disappointed that there were next to no holiday decorations--just some tucked in a corner. Last year the dining room was tastefully appointed with garlands and white lights. It felt festive and lovely. Please, let's not take political correctness to an extreme. It should NOT be the case that: if not everyone can, or wants to, celebrate Christmas, then no one should. Bring back some nice, tasteful decorations. We were looking forward to that as much as the meal. So, Merry Christmas and Happy Holidays to all. My husband and I with our son had such a great time for our 27th anniversary. The food was great, our server was very personable, and we will definitely be back. Steaks were good. On of the small sirloin had a strip of gristle. The baked potatoes were all over done, the skins were crunchy & dried out. Raspberry pie is AWESOME as always. The medium rare prime rib was just ok, pretty bloody, not that flavorful. The sashimi tuna was unappetizing and left uneaten. The petite filet mignon was delicious, smokey flavor. The scallops were pretty good for New Mexico. The service was ok, but not attentive. The oysters were bland and a bit wimpy. The lighting is too bright and the walls lack ambiance. Exceptional service. Food was presented nicely with care. Well prepared with care and flavor. Excellent wine and selection of wines. Nice evening to visit with friends. First time to Bourbon Grill and we will be returning! The new Manager Clay was very attentive and made sure we were taken care of. Yes it is a bit out of town, but worth the trip! Nice to get away from typical Santa Fe fare and the restaurant ambiance was nice. Better service than you can find downtown! Try it! We had a great night! Everything was perfect! THANK YOU!! Restaurant was busy, salmon was very good my friends Sirloin steak was tough. Overall nice place for dinner. We were in search of a good steak and decided to try Bourbon Grill where we previously had only eaten breakfast. Started with cocktails including the bourbon taster with chile cheese balls appetizer; chile cheese balls were good but not a favorite. We both ordered variations of the surf and turf combo; lobster w/filet mignon for me and scallops w/NY Strip for him with sides of loaded baked potato and mixed vegetables, along with the accompanying salad and freshly baked whole wheat bread loaf. The steaks were excellent cuts and cooked perfectly, as were the seafoods. Lobster presentation was impressive with no work required. Mixed vegetables were fresh, crisp, and delicious - far superior to the usual mixed veggies experience. We also shared the apple pie dessert baked in house even though we loaded a take-out box with entree leftovers. The steaks were the best we've had in the area recently and priced reasonably. Bourbon Grill is a very casual, friendly environment with a true homestyle character. Servers are attentive, pleasant, and accommodating. 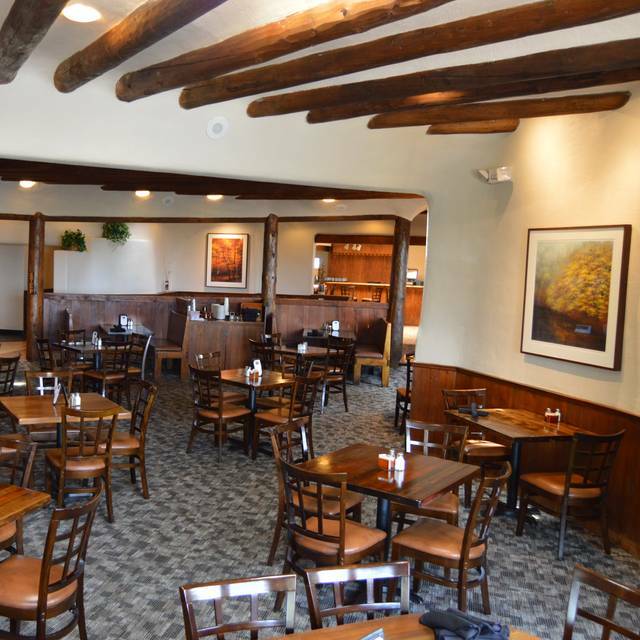 We look forward to many more meals at Bourbon Grill. We haven’t been to Bourbon for several years and this was a great reminder how good their steaks are. I will definitely go back again soon. Very enjoyable, quiet dinner, good for conversation. Friendly, funny waiter. Good service, prices not too bad. Prime rib was excellent, surf and turf special was very good also. No complaints. The service was horrible! They only had 1 server! We were a party of 6, so you know we were spending good money on dinner and drinks. They sure didn't hesitate to include the 20% tip they didn't deserve (we are normally generous tippers anyway). It was my Son's Birthday and hoped to at least get Happy Birthday sung too him (we did not, the waitress said she was the only one there). We were also there with out of state relatives to whom we ranted and raved about this restaurant to, only to be embarrassed by the service we got and had to apologize to them on behalf of the restaurant because of the poor service. Very good experience. We will go back. Steak was cooked perfectly. Drinks were very good and strong. Wanted to go someplace out of the downtown area. It only took us 15 minutes from Cerrillos Road. We were seated right away and our server had our cocktails at our table in under five minutes. My wife and I ordered the prime rib and it was fantastic.. We split the Creme Brulee and it was very good. Nice quiet place with great food and service! Nice evening with great food and drinks were perfect. Service made sure our drinks were always full and the food came with good timing from bread to apps to dinner. Excellent value! Our meals were delicious and exactly what we expected. The service was great. Our waiter explained the specials well and answered menus questions as well as made recommendations. Trying out a new restaurant for happy hour/ dinner. Was not disappointed. Will definitely return for another dining experience. A friend and I were headed to Outback when I picked her up. Then asked her if she had been to Bourbon Grill..she said no..so I said let's go there. Always appreciate the service and relaxed nature of it. Really like the Bar but we ate in dining room. Think you need to upscale dining area some. I ordered the Sirloin and it came cooked as I ordered; however it was tough and I didnt finish it. Took some home and threw it away next day. In spite of that I will return..and hopefully be able to afford a nicer steak on my food budget. Thanks. My family and I went to Bourbon Grill for Mother's Day, and I had booked our reservation a few weeks in advance. When we arrived, I mentioned our reservation and the lady at front had absolutely no idea what I was talking about. Fortunately, the restaurant wasn't too busy so we were seated right away regardless. However, once we were seated, we waited at least 20 minutes for a waiter! They had completely forgotten that a party of six was waiting. My grandmother had to grab an employee's attention before anyone realized we were there. Turns out that there was a communication issue amongst staff and no one knew who our table belonged to, so that was frustrating. However... once our server came along (Isaac), everything else turned out great. He did a great job at smoothing things over and we had great service once he came around. And the other saving grace of the night? The food. Our dinner was fantastic! So my recommendation: Request for Isaac from the get-go and you won't be disappointed. My food was prepared perfectly, on the other hand my daughters steak came out medium rare and should have been well done! Chiefs need to be consistent on food preparation! Food was fantastic but the service was a little slow especially since the restaurant was not busy. The food was acceptable, but certainly did not live up to the price tag. The service was slow even though the restaurant was not busy. The servers were not well comported, to say the least. Our experience was not a disaster, but was not one worth repeating. Service was about as bad as one could get. Th restaurant was not very busy - most likely because of the poor service. We will not be back. I had made a reservation through OpenTable for Easter Brunch. We were seated right away and our Mimosa was brought promptly. We were guided to the buffet room and had a fantastic Easter Brunch.